The Undergraduate Women in Business Association offers membership to all University of Washington students. Although its goals and purpose are designed to achieve advancement of women in business, the benefits of membership are applicable to students of all backgrounds, majors, and are open to all members of the student body. Diversity is an asset to the organization and the experience and knowledge gained through participation will be integral to the success of every career. Knowledge Events hosted by UWiB are developed to inform and educate the female student body on a variety of topics that contribute to professional development. They provide an open means of communication that foster the exchange of ideas and experiences. Experience Active involvement and contributions to UWiB will provide invaluable opportunities to interact with leaders in business and assume leadership roles within the organization. UWiB has developed a supportive and resourceful environment for learning and individual development. Members will gain experience in various aspects of business and confidence in their ability to succeed. Networks The infrastructure of the organization requires the support of the student body, faculty and its external relations. Members will be consistently presented with opportunities to develop professional relationships with advisers and mentors as well as potential employers and sponsors. Once you become an Active Member, you are automatically eligible to become a Gold Member! Becoming a UWiB member is easy! 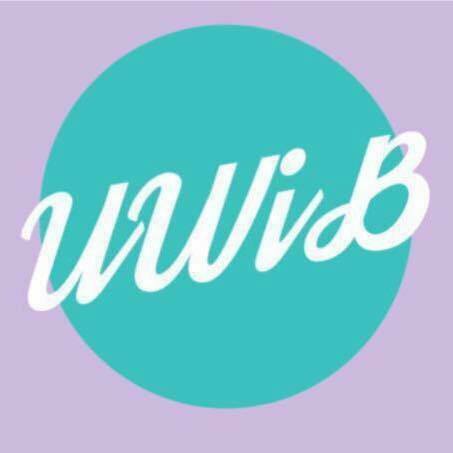 Just e-mail uwuwib@gmail.com or fill out this contact form to join our mailing list and learn about upcoming events, bring your membership dues ($20/quarter or $50/year) to the next UWiB event, and enjoy the many benefits of a UWiB membership. What are the benefits of becoming an active member? Please see benefits of UWiB section above. What are the requirements of becoming a Gold Member? What are the volunteer events for the quarter? The Events page on this site is updated regularly. What if I want to be a Gold Member but cannot participate in one of UWiB’s volunteer events? You can complete the volunteer requirement by participating in at least three hours of community service on your own time. Be sure to turn in a signed verification from the organization on their letterhead, with contact information, within the two weeks following your service. Keep checking back on the UWiB website for alternative independent volunteer opportunities. What if I don’t have any business contacts? Sure you do! Where do your parents work? Your friends? Anyone with a business card is considered a business contact. Can I be a Gold Member one quarter, take a quarter off, and then continue being a Gold Member the following quarter? Of course, UWiB is conscious and sensitive to students’ busy schedules. We do however advise that it is more economical to pay for a full year’s membership at a discount, rather than pay each quarter. Also, you must have a Gold Member status in order to participate in the Businesswomen-to-Student Mentorship Program. What is the Gold Membership Program? Why should I join? Do any of the following companies catch your eye? Each quarter these companies ask for and receive a list of our Gold Members. Each of these companies is eager to know which students are members in good standing with UWiB. These companies know that UWiB shapes students into the social, dependable, and valuable employees they wish to hire. If you are interested in employment with any of these companies, or any other company of your choice in fact, becoming a Gold Member of UWiB provides a beneficial and effective way to get your foot in the door. Additionally, our seminars and workshops are often hosted by the recruiting managers you potentially will be interviewed by. UWiB provides an amazing opportunity to set yourself ahead of the curve by gaining a competitive edge and have multiple forms of contact with employers early on. UWiB’s Gold Membership program can help you find employment with your desired company. , be in good financial standing each quarter by paying dues. Email uwuwib@gmail.com or fill out this contact form to join our mailing list and be the first to find out about weekly meetings and unique UWiB events!